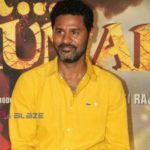 A member of the Censor Board in Dubai had the opportunity to see the teaser of the upcoming magnum opus Sye Raa Narasimha Reddy and couldn’t seem to stop raving about the film. Umair Sandhu took to Twitter and said that the movie has potential to break records of Baahubali. From what we have seen in the teaser of the film that was released on August 20, a day ahead of Chiranjeevi’s birthday, the film crew has left no stones unturned in bringing out grandeur and technical brilliance in the movie. The shooting of this magnum opus is currently underway with the war sequence between Uyyalawada’s soldiers and the British Army being wrapped up. Now, other scenes are being canned, especially the romantic scenes between the lead pair. Sye Raa, starring Chiranjeevi in the lead role, is a biopic on the legendary freedom fighter Uyyalawada Narasimha Reddy. Directed by Surrender Reddy, Sye Raa is being bankrolled by Ram Charan Teja under his home banner Konidela Production Company on a budget of Rs 200 crores. Sye Raa Narasimha Reddy has a bevy of stars from different film industries including Amitabh Bachchan who will be seen in a guest role. The others in the star cast are Vijay Sethupathi, Nayantara, Tamannaah, Jagapathi Babu, Kiccha Sudeep, Pragya Jaiswal and Brahmaji. R. Rathnavelu is the camera man for this film, with A Sreekar Prasad editing it and Amit Trivedi wielding the music baton. It is a trilingual that will be released in Tamil, Telugu and Hindi. With people in the trade vouching that Sye Raa has the potential to break the records held by Baahubali, movie buffs are waiting for its release eagerly. Baahubali: The Game Now Available on Play Store Download now!! Romance with ‘Bhallaldev’ And ‘DevSena’ of ‘Bahubali’, see The undiscovered video. It seems that there is something between “Me and Anushka”: Prabhas ! !